Insolvency proceedings in Luxembourg are governed by the following legislation. Banks and professionals of the financial sector: Law of 18 December 2015 on resolution, recovery and liquidation measures of credit institutions and some investment firms, on deposit guarantee schemes and indemnification of investors. Insurance and reinsurance companies and pension funds: Law of 6 December 1991 on the insurance sector, as amended. Regulated investment funds and fund managers: Law of 17 December 2010 relating to undertakings for collective investment (UCIs), as amended; Law of 13 February 2007 on specialised investment funds, as amended; Law of 15 June 2004 on the SICAR, as amended; Law of 23 July 2016 on reserved alternative investment funds (RAIF); and Law of 12 July 2013 on alternative investment fund managers. Regulated securitisation entities: Law of 22 March 2004 on securitisation, as amended. Each procedure will be further analysed under Sections I.iii and III.vi, along with the substantive provisions of Luxembourg insolvency law relating thereto. While Luxembourg insolvency law boasts three specific reorganisation procedures, which are essentially designed to keep failing businesses operating and to facilitate their restructuring into proper going concerns, there have been few cases of such procedures being opened in practice. For instance, there was a total of slightly over 100 cases of controlled management over the past 25 years, roughly half of which ended up in formal bankruptcy proceedings.4 Neither have there been any cases of composition with creditors nor of stays of payments (relating to general commercial or holding companies)5 during this time. There are many reasons for this situation, although this may be more a case of inadequacy of the available instruments for restructuring distressed businesses than the authorities' willingness to favour bankruptcy and liquidation procedures over reorganisation measures. Among the obstacles to resorting to reorganisation procedures is the requirement generally expressed by the Luxembourg courts that, at the time of the opening of the reorganisation proceedings, the relevant distressed business should still have sufficient assets to settle the estimated costs of the restructuring process, which is not always realistic. The formal conditions for allowing procedures such as compositions with creditors are also too restrictive, as – for example – the approval of a majority in number of the creditors representing at least three-quarters of the debts (i.e., a fairly high threshold) is mandatory. If the Luxembourg courts have so far dealt with more formal bankruptcy (i.e., liquidation) proceedings than reorganisation measures, a change appears to be imminent. So far, the government's work on this matter has resulted in draft bill No. 6539 on business preservation and modernisation of bankruptcy law, dated 26 February 2013. Up to this date, the legislative process is continuing, in particular, new amendments to the project were published on 6 March 2018 (see Section V.iii, for further details on this draft legislation). The procedures available in Luxembourg under the general insolvency regime are: (1) compositions with creditors; (2) controlled management proceedings; (3) stays of payments (which all fall within the category of the reorganisation procedures (i.e., aiming at restructuring a business experiencing financial difficulties rather than winding it up)); and (4) bankruptcy proceedings, which essentially involves a liquidation procedure (i.e., a procedure involving the realisation of the assets of the debtor with a view to settling the debtor's liabilities, either in full or, in case of insufficient assets, in part). All of the foregoing insolvency procedures are judicial procedures, which means they are all subject to the control of the district court of competent jurisdiction. A company against which bankruptcy proceedings have been initiated may avoid a declaration of bankruptcy through the approval by the district court of a voluntary arrangement between the debtor and its creditors. Once approved, the voluntary arrangement is binding upon all creditors but will only be applied to the commitments made before such arrangement. A company that is not bankrupt may request that a controlled management procedure be initiated, under which the management of the company is placed under the control of one or more commissioners designated by the court. The aim of an application for controlled management is to allow either a reorganisation or an orderly winding up of a company. Creditors are asked to vote on a reorganisation or liquidation plan, which, if approved, is enforceable against all creditors. Finally, creditors' enforcement rights are suspended for the duration of the controlled management. Stays of payments may be granted in cases where companies have suffered temporary liquidity problems, preventing them from settling their due and payable liabilities.14 As in the case of controlled management, the board of directors (or relevant management body) of the debtor stays in place during the proceedings but acts under the supervision of a commissioner. Creditors' rights are suspended during the duration of a stay of payments. Bankruptcy proceedings are governed by Article 437 et seq. of the Luxembourg Code of Commerce and result in the winding up of the company in relation to which such proceedings have been opened and the recovery of value from its underlying business or assets (if any). Once bankruptcy proceedings have been opened, the members of the board of directors (or relevant management body) are discharged from their duties and replaced by one or more court-appointed receivers, who administer and realise the debtor's assets and then distribute the proceeds to the creditors according to the priority order provided for by law. All enforcement actions carried out by unsecured creditors are suspended. Beneficiaries of in rem security over assets of the bankrupt company, which are governed by the Law of 5 August 2005 on financial collateral arrangement,15 may enforce their rights despite the existence of the bankruptcy proceedings. Agreements entered into by the debtor are not automatically terminated, except those contracted intuitu personae with regard to the debtor and those including a clause of early termination upon insolvency. Luxembourg law does not set out any mandatory timing in respect of the liquidation of the bankrupt company, which typically takes several months to several years, depending on the size and complexity of the business. Since composition proceedings and stays of payments (under the general insolvency regime) have hardly ever been used in Luxembourg, this section will be limited to the analysis of controlled management and bankruptcy proceedings. A commercial company is considered bankrupt if: (1) it can no longer pay its debts as they fall due, and (2) it may no longer raise credit.23 These two conditions must be met cumulatively. Companies that meet the bankruptcy criteria set out above must file for bankruptcy within one month of the cessation of payments.26 Failure to do so will create a liability risk for the board of directors (or relevant management body). If the court deems that a bankruptcy situation exists, it will declare the company bankrupt and appoint a receiver who will, inter alia, manage the affairs of the company in bankruptcy and represent the interests of the creditors of the company, generally. This section is limited to the analysis of controlled management and bankruptcy proceedings, given the limited number of compositions with creditors and stays of payments. The court will then appoint one or more commissioners, who do not replace the company's management body but supervise its actions. The members of such a body, therefore, continue to manage the company with a view to reorganising its affairs, subject to certain acts that may not be undertaken without the consent of the commissioners. After having heard the creditors and reviewed the situation of the debtor, the commissioners will draw up their report, which will contain either a reorganisation plan or a liquidation plan. Creditors will afterwards be convened to vote on the proposal at the majority (in number) of creditors representing more than half of the debtor's aggregate debts. The approved plan will finally need to be sanctioned by the district court. The receiver appointed by the district court, having opened the bankruptcy proceedings, must manage the company in good faith during such proceedings under the supervision of a supervisory judge designated by the same court. The board of directors (or relevant management body) may no longer act on behalf of the bankrupt company as of the date of the bankruptcy judgment and, therefore, plays no active role in the administration of the bankruptcy, but the members of the management body still have the obligation to assist the receiver whenever necessary. Certain actions taken by the receiver will be subject to the approval of either the supervisory judge or the district court. The receiver may, for instance, proceed to the sale of movable or perishable assets of the debtor only with the prior authorisation of the supervisory judge in charge of the bankruptcy. The sale of other assets (non-perishable and immovable) require the approval of the district court, which will determine the conditions for such a sale following a report by the supervisory judge and a hearing of the debtor.28 Finally, after all proceeds of the assets of the bankrupt company have been distributed among the creditors, the receiver will submit a detailed report about the bankruptcy proceedings to the district court. Refer to Section I for a list of the main special insolvency regimes existing under Luxembourg law. The main differences between the general and special insolvency regimes is that creditworthiness issues are sufficient for opening proceedings under the special regimes and the courts have more freedom under the special regime than the general regime to determine the terms of the reorganisation or liquidation. A stay of payments, which may be viewed as an observation phase prior to the commencement of formal liquidation proceedings, may only be applied for by the national financial sector regulator, the Commission de Surveillance du Secteur Financier (CSSF), or by the relevant entity itself. Such request will automatically result in the suspension of all payments by the entity and a prohibition on the entity taking any actions without CSSF consent, except for safeguarding measures. If the district court considers the conditions for a stay of payments to be fulfilled, it will rule accordingly and determine the period for which the stay of payments will be granted (a maximum of six months),31 as well as the terms of such a stay. The court will also appoint one or more provisional administrators who will monitor the entity's estate and will need to approve any action in respect of the distressed entity, failing which such actions will be deemed null and void. If the conditions for a judicial liquidation procedure to be opened are met, a request may be made for such purposes by the CSSF or the public prosecutor. In the event that the district court orders a judicial liquidation, it will appoint a supervisory judge and one or more liquidators. It will then determine the terms of the liquidation, in particular, whether the extent to which the rules governing general insolvency proceedings should apply (which make judicial liquidation proceedings a flexible instrument). Finally, the liquidation decision will automatically result in the withdrawal of any licence to operate granted to the relevant entity by the CSSF. The insolvency regime applicable to insurance or reinsurance companies and pension funds, as provided for by the amended Law of 6 December 1991 on the insurance sector, substantially mirrors the regime applicable to banks and PFS. It could also be difficult to identify a debtor's COMI in certain cases, which called for a more precise definition of the concept to be adopted, notably to avoid undesirable forum shopping. The European Commission tackled this issue in the form of a proposal for a regulation amending Regulation (EC) No. 1346/2000,35 followed by the adoption on 20 May 2015 by the European Parliament of Regulation (EU) 848/2015 of the European Parliament and of the Council of 20 May 2015 on insolvency proceedings (recast), which replaced Council Regulation (EC) 1346/2000. In general, the new Insolvency Regulation (recast) reflects the lessons learned from the complex procedures that have occurred since the financial crisis.36 It applies to insolvency proceedings opened after 26 June 2017.
strict cooperation obligations bearing on courts and insolvency practitioners involved in the insolvency of a corporate group. Concerning insolvency proceedings opened in a non-EU jurisdiction, the 'unity of the bankruptcy' principle applicable in Luxembourg would result in the main aspects of such proceedings automatically applying to the debtor, with no possibility of opening ancillary proceedings in Luxembourg.37 This has the advantage of resolving most conflicts of jurisdiction between Luxembourg and foreign jurisdictions, but there could be instances where creditors' rights (e.g., employees) would be better protected if the Luxembourg courts were entitled to open territorial proceedings. Luxembourg's economy has coped relatively well with the ongoing economic crisis so far and even shows moderate growth prospects. Unemployment and insolvencies are, however, at a high level. The unemployment rate was estimated to fall at under 6 per cent for 2018 and 2019.41 The balance of the public finances should go from a positive balance of 1.5 per cent of GDP in 201742 to approximately 1.1 per cent in 201843 considering a forecast decline of tax income. The aftermath of the Brexit referendum in the UK also raises questions, with certain studies predicting that its consequences for the UK and the EU will be considerable. The yearly number of Luxembourg companies declared bankrupt has steadily increased between the 1990s and 2013. The figure was only around 100 in 1990 but was in excess of 500 in 2000 and reached over 1,000 in 2012 and in 2013.47 The figures decreased to 850 in 2014,48 rose to 983 in 2016 and slightly decreased to 935 bankruptcies in 2017. The past years were substantially quieter on the insolvency front than those of 2008 to 2010, which saw dramatic cases such as those involving the Luxembourg subsidiaries of the failed Icelandic banks and Lehman Brothers Inc,49 and certain investment funds that essentially invested in Bernard Madoff's funds.50 There were nevertheless a few notable cases during the period of review; there is, however, scarce public information available on insolvencies in Luxembourg compared with some larger jurisdictions. Meanwhile in Luxembourg, on 19 February 2018, the CSSF filed an application with the Luxembourg District Court dealing with commercial matters for stay of payments by ABLV Lux in accordance with Article 122(6) of the Law of 18 December 2015 on resolution, recovery and liquidation measures of credit institutions and some investment firms, on deposit guarantee schemes and indemnification of investors.55 The CSSF alleged that this decision follow the decision made by the ECB to impose a moratorium on the ABLV Bank for cause of deterioration of the bank's financial position.56 On 9 March 2018, the CSSF request was rejected by the Luxembourg Commercial Court.57 The Luxembourg Commercial Court has nevertheless decided to grant ABLV Lux the benefit of the stay of payments process but only for a 'protective' purpose and for a period of six months. Banco Espirito Santo SA (BES), whose main shareholders are based in Luxembourg, has reportedly been in financial distress since May 2014. On 20 June 2014, the CSSF requested the Luxembourg Stock Exchange to suspend the shares of Espirito Santo Financial Group SA (ESFG), which at that moment held 25.1 per cent of BES, since the shares of ESFG lost 51 per cent of their value. Irregularities in the financial statements of Espirito Santo International SA (ESI), one of the shareholders of ESFG through its wholly owned subsidiary Rio Forte Investments SA (RF), appear to be the main source of the difficulties of the group. The amount of the financial manipulation is thought to be around €1.3 billion. ESFG was accused of a loss of €1.549 billion in 2013 against a profit of €775 million in 2012. ESI asked the district court to be put under controlled management, a request which was promptly acceded to. ESI had to present a restructuring plan to sell its assets and raise funds to pay its creditors. RF in turn announced on 23 July 2014 that it is not able to honour a €897 million debt owed to Portugal Telecom, and asked the district court to place it under controlled management. Following the submission of the reports of the delegate judge and experts, the District Court of Luxembourg rejected the controlled management requests of ESI and RF by two judgments of 17 October 2014, since the restructuring plans did not convince the Luxembourg judges that ESI and RF would be able to successfully reorganise themselves. BES was transformed into a bad bank in order to liquidate toxic assets, especially the debt securities of the rest of the group. At the same time, the Portuguese authorities regrouped the healthy assets into a new bank called Novo Banco, which benefited from an equity injection of €4.9 billion financed through a loan of €3.9 billion by the Portuguese government. In 2015, TLPO had a turnover exceeding €10 million, while it recorded a loss of €2.9 million, bringing its cumulative losses to an amount of €12.1 million.61 While acknowledging the situation in their annual report and keeping a close eye on a potential bankruptcy, the board of directors of TLPO approved the continuation of the company. This survival was sustainable thanks to the support of the main shareholder, BIP Investment Partners SA (BIP). Assya Asset Management Luxembourg SA (AAML) was a regulated asset management company and part of the LSK group (chaired by former IMF Managing Director Dominique Strauss-Kahn), which was declared in judicial liquidation on 17 November 2014 following a total loss of €25.8 million. While the equity of the company was only €1.43 million, a number of debts were owed in different European countries to business partners and tax authorities. On 3 October 2014, Leyne Strauss-Kahn & Partners (LSK), AAML and Thierry Leyne, the main shareholder of LSK, were held severally liable by a Luxembourg judge to pay €2 million to Bâloise insurance company. Further to this decision of the district court, AAML requested a suspension of payments for protection against its creditors, a request that the district court of Luxembourg granted by a judgment of 30 October 2014, setting the end of the suspension of payments procedure to 17 November 2014. AAML lost their licence with the CSSF and was eventually declared in judicial liquidation. By judgments of 17 November 2014, the district court of Luxembourg also declared the bankruptcy of LSK and two other companies in the same group. Excell Life International SA was an insurance company that was dissolved and subjected to liquidation proceedings on 12 July 2012 by the Luxembourg district court at the request of the regulator of the insurance sector, the Commissariat aux Assurances (CAA), because of the loss of its creditworthiness. According to the judgment,66 Excell Life was subject to intense scrutiny by the CAA from March 2012 as a result of irregularities discovered in 2010 resulting from unit-linked life insurance contracts that did not conform to the rules set out by the CAA and of certain internal transfers of Lehman Brothers securities. The insurance company was further deemed not to have complied with its solvency margin obligations and that its legally required guarantee fund was insufficient, despite a capital increase made at the request of the CAA in 2011. The CAA also prohibited Excell Life from entering into new insurance contracts during 2010–2011 and finally withdrew its licence in June 2012. The district court of Luxembourg also decided, in a judgment dated 15 July 2013,68 to grant a first dividend of 75 per cent of any realised assets69 to those creditors that had invested in insurance products linked to a limited number of investment funds. This judgment was followed by several others similarly granting a 75 per cent dividend in relation to insurance products issued by Excell Life and linked to certain other investment funds. In July 2014, creditors who invested into funds that were not invested into the above insurance products commenced proceedings in order to nullify the decision to pay a dividend to their holders. By judgment of 1 April 2015, the District Court of Luxembourg declared that the action was unfounded and dismissed the creditors' claims, as supporting their request would resulting in denying investors the benefit of a special privilege of insurance creditors on the assets of funds in which they are indirectly invested. The creditors then appealed against this decision in 18 January 2017, and by reformulating the first instance decision, the Luxembourg Court of Appeal ruled that all insurance creditors should be entitled to the benefit of their rights resulting from their realised assets as at 12 July 2002, and no special privilege should be granted. In recent years, the courts resorted more often to stay of payment proceedings, when deemed necessary, to allow failed banks to reorganise themselves under reduced creditor pressure. This was seen as a positive thing by practitioners as it resulted in useful case law, clarifying the practical conditions under which such proceedings could take place. Expected changes in the insolvency law applicable in Luxembourg result from draft bill No. 6539 on business preservation and modernisation of bankruptcy law, dated 26 February 2013 (the Draft Bill). The Draft Bill is currently under analysis by several commissions within the Parliament. The Draft Bill, strongly inspired by the Belgian law on business preservation dated 31 January 2009, is built around four guiding principles: a 'preventive' aspect, a 'restorative' aspect, a 'repressive' aspect and a 'social' aspect. The preventive measures contained in the Draft Bill essentially allow for the gathering of information from businesses to identify those experiencing financial difficulties at a stage where they may still benefit from efficient reorganisation procedures, and also provide for instruments designed to preserve and reorganise business activities while taking the rights of creditors into account, which entrepreneurs will be able to request on their own initiative. The information to be gathered on Luxembourg businesses and to be used to determine whether a given business experiences financial difficulties relies on various indicators (e.g., a list of debts due to tax and social security authorities), to be collected by two separate public entities: the Secretariat of the Economic Committee (SEC), which plays a central role concerning non-judicial reorganisation proceedings, and the Evaluation Committee for Businesses in Difficulties, which will analyse on behalf of its members, the public authorities, whether a bankruptcy petition is appropriate. The reorganisation measures to be made available to distressed businesses under the Draft Bill encompass out-of-court procedures and judicial procedures, which are adapted to the size of the relevant business, and are largely voluntary (i.e., upon request of the business in financial distress). The first out-of-court procedure available is the conciliation process, whereby the company in financial distress may require from the SEC the appointment of a business arbitrator, whose task may be defined by the interested parties; and the second is the mutual agreement, under which the debtor tries to strike an agreement with two or more of its creditors, possibly with the assistance of a business arbitrator. a transfer under judicial control, whereby a court-appointed agent will organise the transfer of all or part of the assets of the relevant company to ensure the continuity of its activities. The entrepreneur exercising its activity as a natural person (i.e., without limitation of liability) and whose venture has failed may under the Draft Bill be given a 'second chance' if he or she is deemed to have acted in good faith, and accordingly not be held personally liable for the outstanding debts of the failed business. The object of the repressive part of the Draft Bill is to prevent entrepreneurs that act in bad faith from abandoning their business and starting a new one with impunity. The Draft Bill also introduces an administrative dissolution procedure without liquidation inspired by Swiss law and aimed at eliminating 'empty shells' in a timely and cost-efficient manner by avoiding formal bankruptcy proceedings. Under the Draft Bill, as a matter of principle, all the rights and obligations resulting from employment contracts are transferred to the purchaser of the assets of the relevant distressed company; however, the Draft Bill also allows the purchaser to choose the employees that it wants to take over, as long as its choice is dictated by technical, economic and organisational reasons. 1 Pierre Beissel and Sébastien Binard are partners at Arendt & Medernach. The authors wish to thank Thainá Dantas Bacelar for her assistance with the update of this chapter. 2 On 20 May 2015, the European Parliament adopted Regulation (EU) 2015/848 of the European Parliament and of the Council of 20 May 2015 on insolvency proceedings (recast), which replaced Council Regulation (EC) 1346/2000 of 29 May 2000. 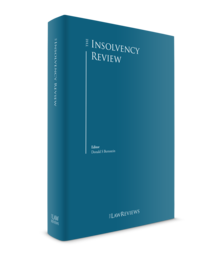 It applies to insolvency proceedings opened after 26 June 2017, whereas Council Regulation (EC) 1346/2000 remains applicable to insolvency proceedings opened prior to this date. 3 Article L-1200-1 of the law on commercial companies dated 10 August 1915, as amended, provides for an additional compulsory liquidation procedure that may be opened by the district court at the initiative of the public prosecutor in case of substantial breach of this law. This procedure, being unrelated to the solvency of the company in relation to which it is opened, will not be analysed in this chapter. 4 Source: Rapport des juridictions judiciaires, 2016–2017; rapport d'activité du ministère de la Justice, 2017. 5 There have, however, been some cases with regard to regulated entities (see below). 6 See Luxembourg Court of Appeal, 26 July 1982, Moyse. 7 See Luxembourg Court of Appeal, 17 February 1982, Reding et Kunsch and Luxembourg Court of Appeal, 10 February 1982, Pas. 25, 301. 8 Source: Creditreform Luxembourg, Communiqué de presse: Analyse de Creditreform sur l'évolution des faillites en 2016 au Luxembourg, 4 January 2017. 9 Source: Creditreform Luxembourg, Communiqué de presse: Analyse de Creditreform sur l'évolution des faillites en 2016 au Luxembourg, December 2017. 10 Source: Creditreform Luxembourg, Communiqué de presse: Analyse de Creditreform sur l'évolution des faillites en 2017 au Luxembourg, Baisse des faillites au Luxembourg, 3 January 2018. 11 Luxembourg 2009 governmental programme, p. 108. 12 Draft Bill on business preservation and modernisation of insolvency law No. 6539, p. 1. 13 See, for example, failed banking institutions Lehman Brothers (Luxembourg) SA, Landsbanki Luxembourg SA, Glitnir Luxembourg SA and Kaupthing Bank Luxembourg SA in 2008–2009 (see Section III.i). 14 Article 593 of the Code of Commerce. 15 This law having transposed under national law Directive 2002/47/EC of the European Parliament and of the Council on financial collateral arrangements. 16 Article 442 of the Code of Commerce. 17 Courts most often set the hardening period to six months, unless positive evidence is brought that payments ceased at a later time. 18 Article 34 et seq. of Council Regulation (EC) No. 848/2015 on insolvency proceedings. 19 See Wiwinius, J-C, Le droit international privé au grand-duché de Luxembourg, 3rd ed., Luxembourg, 2011, No. 1858. 21 Article 1 of the Grand Ducal Regulation of 24 May 1935 on controlled management. 22 See Luxembourg Court of Appeal, 17 February 1982, Reding et Kunsch and Luxembourg Court of Appeal, 10 February 1982, Pas. 25, 301. 23 Article 437 of the Code of Commerce. 24 Article 442 of the Code of Commerce. 25 Draft Bill on business preservation and modernisation of insolvency law, No. 6539, p. 5. 26 Article 440 of the Code of Commerce. 27 In the alternative scenario, a bankruptcy order would usually be made shortly thereafter. 28 Article 477 of the Code of Commerce. 29 Parent companies and subsidiaries are separate entities to which independent insolvency proceedings apply. Luxembourg courts may, however, consolidate the assets of two companies in the event such companies are actually managed as a single entity and consider that these companies represent a single legal entity for the purpose of the insolvency proceedings. 30 Professionals of the financial sector (PFS) are all entities regulated by the Commission for the Supervision of the Financial Sector that are not banks (investment firms such as investment advisers, brokers in financial instruments or wealth managers), specialised PFS (e.g., registrars, custodians, regulated markets operators an debt-recovery professionals) and support PFS (pursuing an activity related to a financial sector activity (e.g., domiciliation agent and IT operator for the financial sector). 31 Article 122(10) of the Law of 18 December 2015. Note, however, that in a recent case involving Kaupthing Bank Luxembourg SA, the district court agreed to extend the initial stay of six months by an additional two months. 32 UCIs operating as SICAVs, SICAFs or FCPs, investment companies in risk capital (SICARs) or specialised investment funds (SIFs). 33 They may, however, refer the situation to the CSSF, which may in turn withdraw an entity's licence if it deems that the conditions for such withdrawal have been met. 34 G. Minne, 'Arrêt Interedil: La Cour de Justice de L'Union Européenne Clarifie le Contenu des Notions de “Centre des Intérêts Principaux” et d'Établissement du Règlement 1346/2000 Relatif Aux Procédures d'Insolvabilité', Bulletin Droit et Banque, No. 50, 2012, p. 59 et seq. 35 Proposal for a regulation of the European Parliament and of the Council amending Council Regulation (EC) No. 1346/2000 on insolvency proceedings, 12 December 2012. 36 G Minne/F Fayot, 'Les principales innovations du nouveau règlement relatif aux procédures d'insolvabilité', JDE, January 2016, p. 2 s.
37 That is, to the extent the foreign jurisdiction applies the same conflict of jurisdiction principle. It is otherwise conceivable that main insolvency proceedings be opened in both jurisdictions. 38 International Monetary Fund, 'World Economic Outlook, April 2018: Cyclical Upswing Structural Change', April 2018, p. 241. 39 Statec, Macroenomic Forecast 1995–2019, Note de conjuncture, 5 June 2018. 41 International Monetary Fund, 'World Economic Outlook, April 2018: Cyclical Upswing Structural Change', April 2018, p 62. 42 Statec, 'Déficit et dette publique des administrations publique et provision de données associées 2000–2017'. 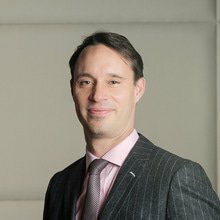 43 Le government of the Grand Duchy of Luxembourg, 'Déclaration du gouvernement sur la situation économique, sociale et financière du pays 2018', 20 April 2018. 45 Statec, Études et prévisions, Communiqué de Presse, No. 05-2018, 16 February 2018. 46 CSSF Newsletter, No. 209, June 2018, p. 9. 47 Draft bill on business preservation and modernisation of insolvency law No. 6539, p. 4. 48 Creditreform Luxembourg report on Luxembourg bankruptcies, January 2015 and December 2015. 49 Landsbanki Luxembourg SA, Glitnir Luxembourg SA and Kaupthing Bank Luxembourg SA and Lehman Brothers (Luxembourg) SA. 50 Luxalpha SICAV, Luxembourg Investment Fund SICAV and Herald (Lux) SICAV. 51 Source: ABLV Bank official website. 52 Source: Luxembourg Wort, 24 February 2018. 53 Source: Luxembourg Wort, 24 July 2018. 54 Source: ABLV Bank official website. 55 Source: CSSF Press release, 19 February 2018. 56 Source : ECB Press release, 19 February 2018. 57 Source : Paperjam, 9 March 2018. 58 Véronique Poujol, La justice luxembourgeoise se dessaisit, Paperjam, 23 March 2016. 59 Rapport numéro 9 des curateurs au 30 avril 2018. 60 Jean-Michel Gaudron, Gestion contrôlée demandée pour Telecom Luxembourg, Paperjam, 26 September 2016. 62 Alexandra Parachini, La place financière luxembourgeoise a évité une crise majeure, Le Quotidien, 17 November 2016. 63 Tribunal d'Arrondissement de Luxembourg, Extrait, Inscription d'une décision judiciaire au RCS, 17 November 2016. 64 Thierry Labro, NomoTech reprend Luxembourg Telecom, Luexemburger Wort, 17 November 2016. 65 Véronique Poujol, La Bâloise relance les hostilities, Paperjam, 6 May 2016. 66 Trib. Arr. Luxembourg, 12 July 2012, unpublished. 68 Trib. Arr. Luxembourg, 15 July 2013, No. 1101/13. 69 Estimated at €24,605,546 as of 15 July 2013. 70 Based on an oral exchange with a clerk of the bankruptcy chamber of the Luxembourg district court. 71 Heidelberg–Vienna external evaluation of Regulation No. 1346/2000/EC on insolvency proceedings, 19 January 2013, p. 157. 72 Source: Paperjam, 'Poussée « inquiétante » des faillites', 12 July 2018. 73 Registre de Commerce et des Sociétés de Luxembourg, 'Relevé des décisions judiciaires déposées au RCS', 2018. 74 The reader will find additional information on these issues under Sections II and V.iii. 75 Rapport des juridictions judiciaires, 2009 and 2012. 76 Luxembourg 2009 governmental programme, p. 108. 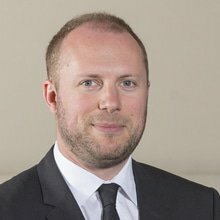 77 Yann Payen, Nouveautés législatives attendues pour 2016 en droit des sociétés luxembourgeois, Legitech, February 2016. 78 Avis de la Chambre du Commerce, 2 December 2013.